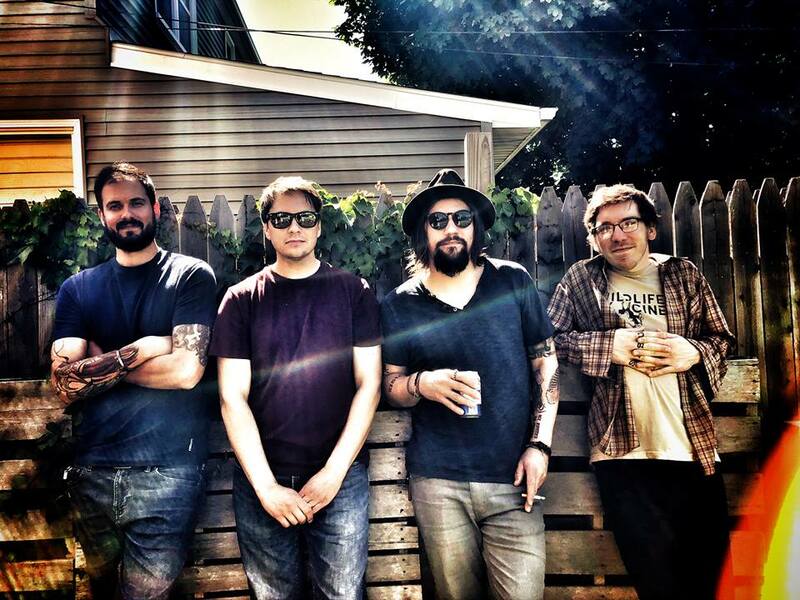 Band of Dust is an indie-rock band based out of Milwaukee, WI. Their sound evokes both rustic afternoons and urban nights where suspenseful storytelling and anxious confessions intersect. It’s a sound that’s both contemporary and classic, infused with the raw energy that can be found in artists like Wilco, The Hold Steady, Built to Spill, and the late George Harrison. ​The band’s debut album Whispers Are Roars is set to be released on CD and digital download on May 19th, 2017. All songs were written by Dustin Mayer with Ron Baake, Ben Green, Dan Mayer, and Jesse Tapola filling out the lineup. Written and recorded in a period of personal loss for Mayer and Baake, the album’s themes illustrate the conflicting emotions that come in times of great change. Following the death of his father, Mayer briefly lived in his old rural childhood home, where many of the album’s songs and the overall artistic vision took shape. Universally, Whispers Are Roars is a call to creativity and strength, offering a guaranteed connection to anyone who has found themselves taking that conscious step to moving on, and more importantly… moving forward.